Before computers, people programmed looms. Woven structures are where “programming” was born. 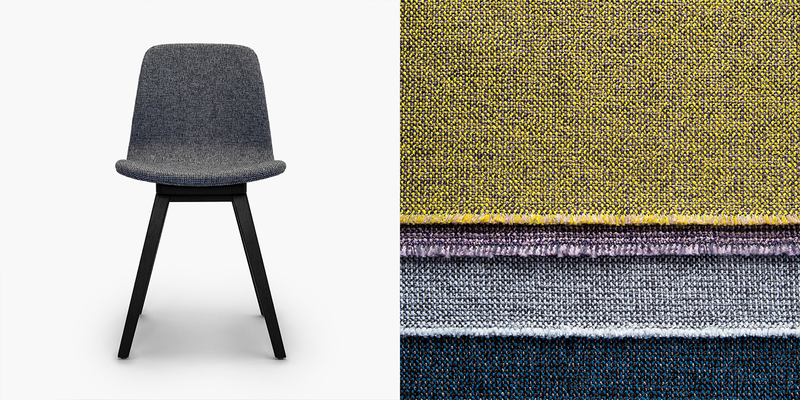 The Woven Logic Collection, from Luum Textiles, explores the binary art of weaving. This collection draws inspiration from the jacquard loom, a precursor to digital computation. structures, the collection offers rich tones enhanced with versatile neutrals creating dynamic color palettes. Adage brings hand-woven techniques to industry front lines. Material and color are intertwined in a deceptively simple and balanced structure, creating a multi-color texture with an enhanced visual effect. 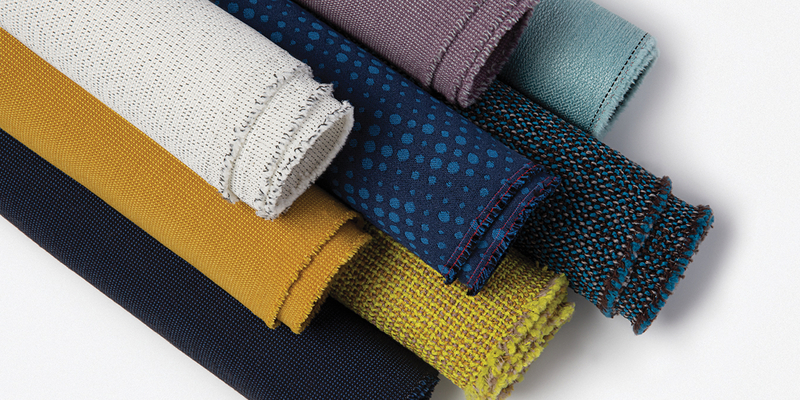 By introducing these unexpected variations to otherwise mechanical processes, Adage conveys a hand-woven sensibility while maintaining the ideal performance qualities for contemporary environments. This satisfyingly chunky texture comes in 21 colors, a palette that encompasses a broad range of neutrals and colors in a variety of saturation levels. Highlighting the innovation that can be achieved through manufacturing partnerships, Elastic Wool repurposes existing manufacturing technology in response to current needs in the marketplace to create an entirely new material. Today’s curvilinear furniture presents new challenges for textile application. In response, elastomeric fiber is introduced to an intimate blend of wool and nylon and woven in conjunction with cationic polyester for a highly upholsterable and durable textile. 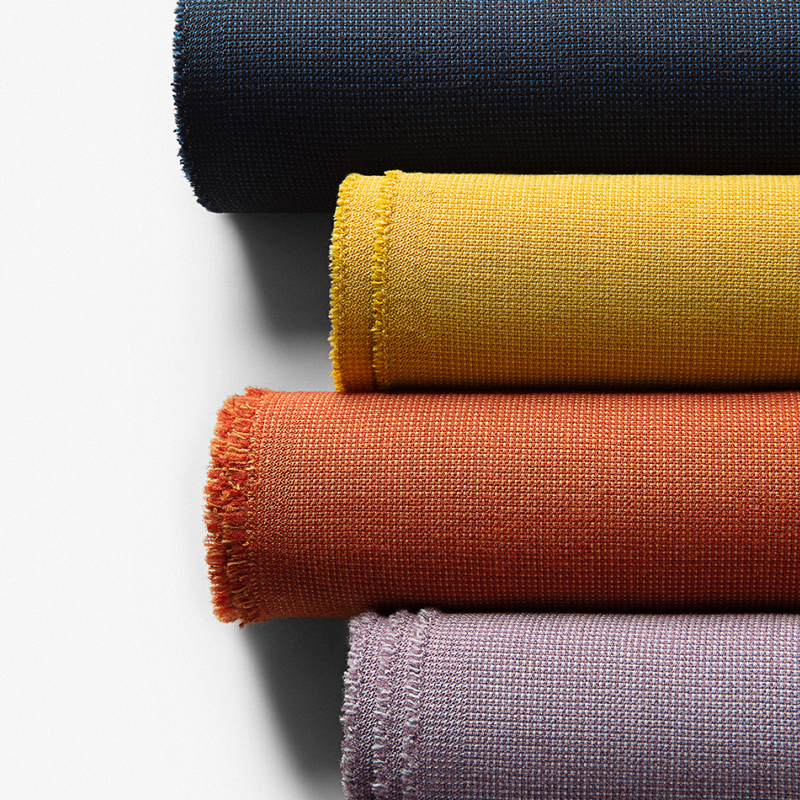 The plain weave construction, often considered the most rigid structure, takes on an element of playfulness and spontaneity without sacrificing performance. The color palette encompasses bold brights, heathered hues and refined neutrals to highlight the integrity of the wool fiber. 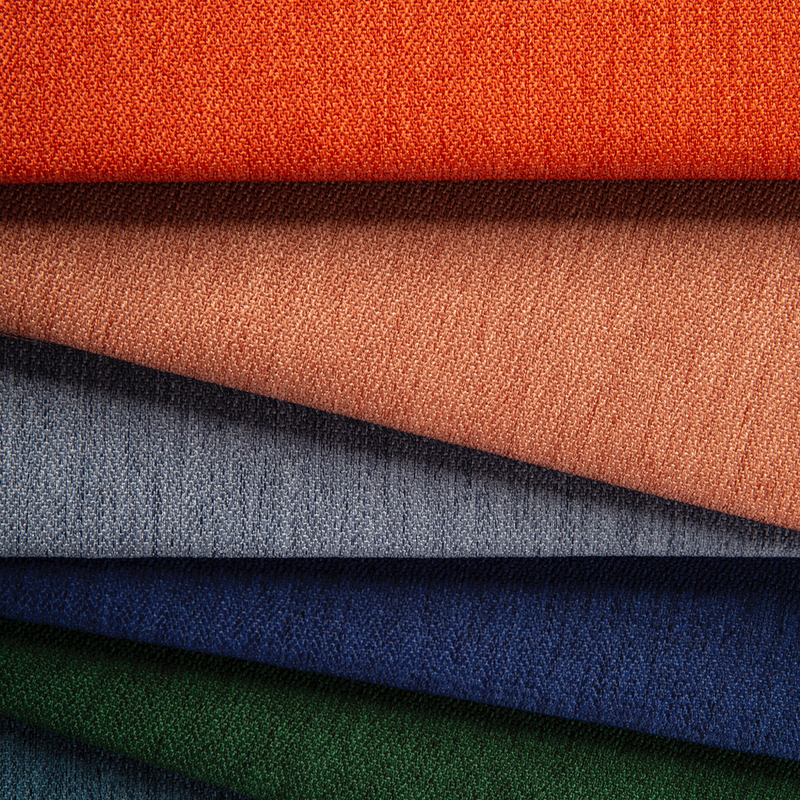 Elastic Wool’s understated design lends sophistication and elegance to this innovative fiber technology. Bitstream’s balanced weave harnesses the relationship between the structured and the idiosyncratic. Solutiondyed black polyester is twisted with undyed polyester and woven systematically throughout an otherwise simple structure. The effect is an overall sense of organic unpredictability, as solid color is interrupted seemingly at random by high-contrast black. These anomalies speak to our experience of the digital age, as complex pattern is created through the binary system of weaving. 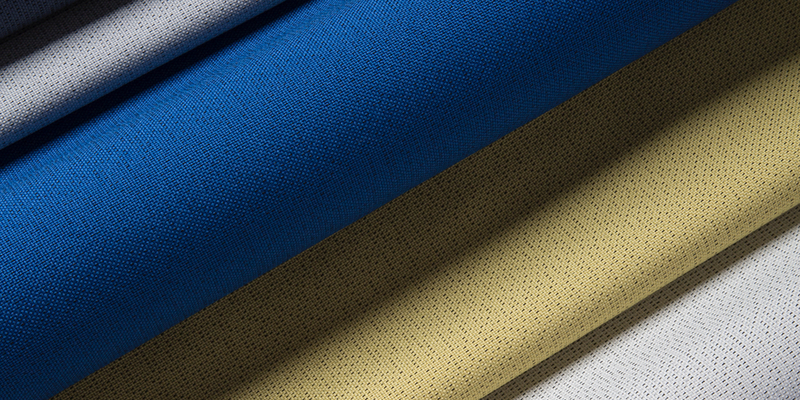 This multipurpose fabric, 100% recycled, bleach cleanable, and highly durable, addresses needs for vertical and upholstery uses. 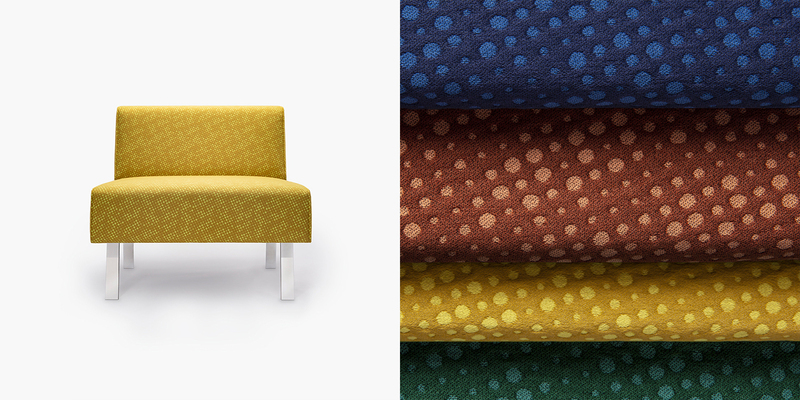 Point Set’s playful graphic language honors the legacy of textile manufacturing, while highlighting the relationship between early jacquard looms and our experience of today’s digital world. The coding language of 0 and 1 can be traced directly to the binary system of weaving, harnessed by jacquard technology during the industrial revolution. Point Set’s non-directional pattern emulates renderings of classic satin weave structures applied to point paper, a tool used for communicating pattern to industrial looms throughout much of the 1900s. The matelassé structure accentuates the practice of interlacing multi-layered weaves to create pattern. Dual hues in this saturated palette underscore the structure’s relief and materiality.